Here at Durham University there are two available platforms available to students who wish to participate in sport. The first caters to those wishing to compete at an elite level. 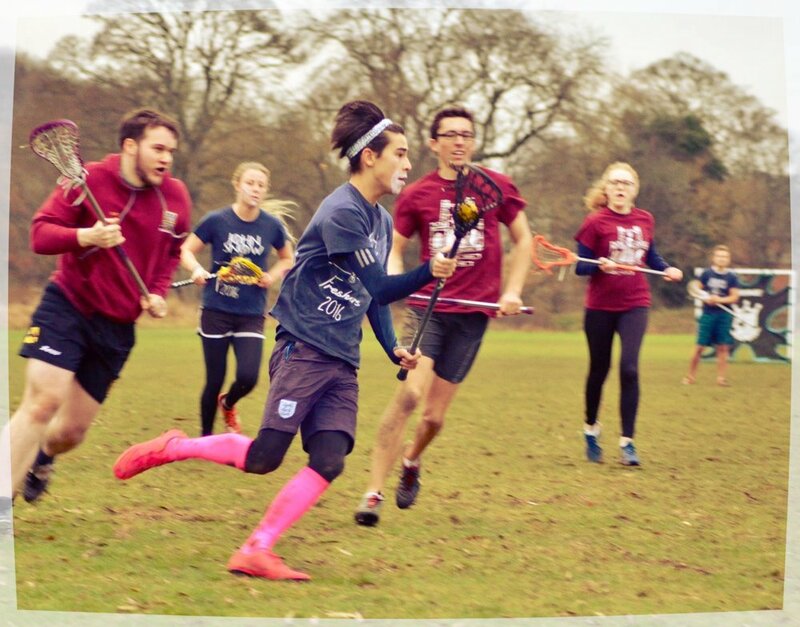 This platform is the University itself, Durham University ranked number one in team sports in 2017/2018 with thirteen teams winning in the national British Universities & Colleges Sports (BUCS) finals last year alone. If you are wishing to represent the University be sure to check relevant Facebook pages and attend the University fresher fair as sign ups for trials take place here. The second platform is the collegiate level, last year Durham colleges had the largest intra-mural sports programme in Britain. This consisted of participation across 18 sports combining in a total of 650 collegiate teams. As your Sports Officer it is my responsibility to ensure that the opportunity to compete at any sport at any level is available to all students. Sport is not only great for keeping physically and mentally fit but it also provides infinite opportunities to socialise and immerse yourself within collegiate life. Here at John Snow we pride ourselves on our high participation across a variety of sports, so regardless of previous experience please sign up for any or all sports and come and join the John Snow sporting family. If you have any questions don’t hesitate to ask. John Snow Badminton Team had a fantastic season last year and we hope to continue the success. We have 3 teams, women’s, men’s & mixed. We welcome all players no matter the ability whether you just want to play for leisure or compete in the college league. Even if you’re not sure if badminton is for you, come and try out our taster session and it’s a great way to meet people in the college from different degrees and years! John Snow Basketball has had a successful season playing in various leagues. We are keen to continue this legacy and look to win more silverware for the trophy cabinet. Men’s basketball is open to all abilities and we have two teams which allow all to play regardless of experience or ability. This is truly the best way to embrace college life and find people with similar interests to your own! We hope to see you soon. We have always had a very sociable and good cricket side at Snow. We play within two competitions; indoor in the winter and outdoor in the summer. We are an incredibly diverse group and have even had lecturers play for us. You can be at any level if you want to join, just come down to a training to try it out! John Snow Hockey welcomes players of all abilities. We currently have a range of players from beginners to those who have been playing for years. Throughout the year there will be frequent socials and events to get involved with. Join Hockey for a great mix of sporting and social !! Lacrosse is one of Snow's most successful sports and is also one of it's only mixed teams. There are two teams so there's an opportunity for everyone to have fun, whether you want to really focus on improving your skills or just have fun each week with your friends. The majority who join John Snow Lacrosse Club have never played before so don't worry if you've never played before either, you'll quickly pick it up! Snow lacrosse is also known for it's socials! We have a number of socials each term and they always prove to be great fun. If your more interested in the socials than playing Lacrosse, you can always join as a social member! If you would like to get involved in Lacrosse at Snow, come meet us at the freshers fair, go to the taster session or send us a message! Netball is a fab way to have fun, play in a competitive environment and make wonderful friends! Everyone at all levels is welcome to play and join our socials! Feel free to send us a message if interested. Rounders is a chilled club who are going to compete in the DU league for the 2nd time this year, giving us chance to bond with one another and teams at other colleges. With socials lined up, it's the taking part in Rounders that really counts! you have rowed before or starting as a complete beginner, you couldn’t pick a better year to sign up. Here at JSBC we also pride ourselves on our off the water activities whether that is a social or a marathon erg for charity. So come and find us at the freshers fair or join our freshers page and see if it’s for you. I look forward to welcoming as many of you as possible to the JSBC family. No matter what your ability John Snow College rugby would love to have you. We are always looking for new players, all abilities are more than welcomed. Whether you are looking for a casual or more serious experience, John Snow Rugby Club has something to offer for you. For those who are new to rugby, don’t worry! JSRFC is a fantastic social scene to get involved in and an unparalleled opportunity to meet not only other freshers but John snow students from all years. For those of you who have played rugby of a high standard at school, this is an important year for John Snow College Rugby. With the big move from Queens Campus to Main Campus, we’re the new kids on the block, and this is our chance to make a name for JSRFC and make every member of John Snow proud to be wearing John Snow Blue around campus. To summarize; whether you played first team, fifth team, or not at all our rugby club is something you want to get involved in, and if you’re on the fence, just come for a chat at the freshers fair, we'll be waiting for you. If you would like to create a new club for a sport that isn’t listed above, please contact the sports officer.